Siletz is one of the most reliable slicing tomatoes you can grow. Coming in just ahead of Oregon Spring, with a nice flush of 4-5 inch deep red fruit that weigh 7-10 ounces. The flavor-packed red tomatoes are nearly seedless. 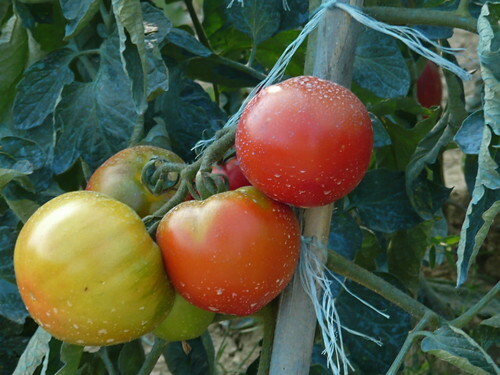 Expect several bursts of ripe tomatoes as the season progresses. Vigorous determinate plants are parthenocarpic. Bred by Dr. Jim Baggett of Oregon State University. F1, V.